Clans. Bloodlines. Disciplines. Character Creation. Derangements. Influences. Merits. Flaws. Paths. Archetypes. Abilities. FAQs. Everything you need to be a vampire. It's in here. All of it. 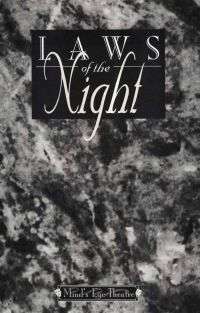 Laws of the Night is a pocket rule guide to Masquerade. Designed for quick reference and in-game use, it collects everything you need to make your Mind's Eye Theatre experience as smooth and free of rules hassles as possible.